Can you build a powerful, profitable and impactful business in a way that works for you? Is there is any other way? Extraordinary Success takes owning what is unique about you; your values, your opinions and your way of doing things… and those challenging or quirky things that are uniquely yours. Embracing our humanity not only creates powerful businesses but businesses that empower us. As an entrepreneur are you using your differences or feeling wrong because of them. One of the most powerful things I do with my clients is get them to own and value “their way” of doing thing… it builds confidence and empowers everything they do. Take time to own and appreciate what you really have. Write it down so you know those unique skills, talents and passions, unique ways of doing and seeing things that are yours. Bring that to your business as you’re learning and mastering skills, trust your wisdom and instincts… learn the skill well but do the skill your way. When that voice in your head says, “This doesn’t sound right” or feel right, listen to that voice, to what you know. Then bring that to your learning and do it your way. Imagine sales and marketing your way… a way that values people, supports their success, empowers them. And does the same for you. As you engage your brain, your wisdom and trust your self more, your personal power will grow… so will your business. And we need more successful businesses run by fully engaged, values-driven entrepreneurs. Here are some questions, and I’m going to ask them in the way that you may have heard as a kid that made you cringe and hide… but you are no longer a kid and it’s time for you to STAND UP BOLDLY AND CLAIM WHAT IS MAGNIFICENT ABOUT YOU, AND SHARE IT WITH THE WORLD! So, what’s so special about you? Who do you think you are? OWN IT! No matter what “they” said, your uniqueness is an asset. If you want extraordinary, empowering and lasting success, you must value who you are. What do your friends and colleagues notice and compliment you for? How could you bring more of your uniqueness into your sales and marketing? What would that look like? How would it feel? Really imagine how it would be and feel. I know it’s a risk and it takes courage but it’s your life and your success… go for what you want and create something extraordinary. You were created uniquely. There is no one in the world like you. Own it. Use it. The world needs you to be you. Your business and your success need you to be you. You cannot have an extraordinary business and life if you are being ordinary (trying to be like everyone else). Own and use what you have, appreciate you and all you are… even those quirks and “disabilities” to create extraordinary success and have an extraordinary life. Sometimes it seems difficult to move forward in our businesses, to make a new start, to get out of ruts, or learn something new. Then later looking back we can wonder how or why we were stuck. Yet in the midst of it, it can feel like nothing is working. So what’s the trick? As impossible as it feels, as simple as it sounds… just move forward. If you’re stuck, take a couple deep breaths, and move. Do that next thing in front of you to do, even if you’re not sure if it’s right. When we start moving we get information and clarity. When we aren’t moving there’s no way to know what’s right or wrong, no matter how much we try to figure it out but we can really get caught in that figuring. And the longer we sit, that figuring leads to fear and it all seems harder. Once I was in a store and the lights went out. It was completely black and I didn’t have my bearings. For a moment I felt paralyzed in the dark. Then, after holding my hand up in front of my eyes so I didn’t run into anything and poke them out (a little self care is always good), I started slowly moving. Soon I had enough information to walk down the aisle. As I got close to the front of the store moonlight came in and I could better find my way, but if I wouldn’t have started moving that way would not have become clear. When we get moving, when we bump into things, we might get bruised but we get clear on where we are. We get information. And it’s the only way to find our way. Making mistakes or doing things poorly in business is sometimes the only we can get moving forward. So, what is that big, bold, outrageous dream you have? Take a step… pay attention, learn… and take another step. I know it sounds too easy but sometimes it is that easy… and feels that hard. Just take a step… and keep stepping until it you see the light. It’s so easy as an entrepreneur to end up with a “to do” list a mile long. And if we’re not strategic with our tasks it can feel overwhelming and never ending. Even though we are working, we may not be building our self, our business, or our income, which is incredibly frustrating. We end up working and feel like were getting nowhere. There are complete books on time management; complicated tools, one more thing to learn… and sometimes they work. Often times those end up being one more thing to do… and just because something worked for someone else, that doesn’t mean it’s the best tool for you. So, what’s the solution? It’s really simple. Try this… then play with it and make it your own. Step 1 – What is it you are creating, the desired result? A big reason one’s actions feel jumbled or we aren’t sure what to do is we don’t know where we’re headed. You have to decide. It doesn’t have to be a forever destination but decide something and stay focused on it for 30 days. If you’re goal is to get 5 clients or pay the bills and you’re focused on that or just acting without a focus, your actions will be much different than if you’re goal is to make $250,000 and build a multi-million dollar business. Stop for a minute and strategize steps for either of those and see how different they are. (Really, take a minute to do that on paper). See the difference? Aha! See, you’re already getting the hang of it. With the unclear goal, you’ll float around, not really know what to do. You’ll try and fail but your failures won’t help you learn because you don’t have a big picture that you’re moving toward, you don’t know what you are trying to learn. The second, you’re goal is clear. You’ll know if you’re working toward it or not. It’s big enough that you’ll need to come up with strategy and leveraging, growing your skills… all of which will help you see you’re goal is happening, you’ll feel alive and inspired. Even mistakes, when looked at as a step toward your goal, can feel like wins. Step 2 – Keep your Vision/Result in front of you every day. Focus on what you are building. Come up with a word or two, or an image as a reminder. Keep it simple. It doesn’t have to mean anything to anyone else; it just needs to be powerful and easy to focus on for you. Then look at it every day, think on it, imagine it… that end result you are creating. Step 3 – This is the time management step… on your daily to do list, only put your top 3 musts. Those highest priority items that will support you today and take you were you’re going. List their priority level… 1, 2, 3 and do them. Remember, this is an idea and a framework. The most powerful way to use it is to try it, check-in with your self and see how it’s working, and change it around a bit to make it work for you. If anyone tells you there is only one way to do things, run. We all have a way… trust yours. The more you do, the more powerful you will become in and through your business. Extra Credit – Give your self credit for what you’ve done, feel good about it. Keep it simple and find things that work for you. Often, the most simple tools are the most powerful, and used by the smartest people… like you. 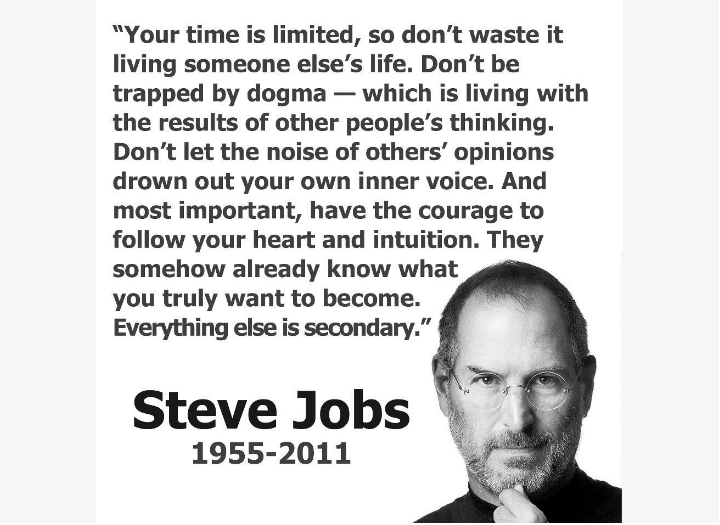 Remember… go for your dream, make your difference, live an Extraordinary Life! If you’re an entrepreneur, executive, business owner, service provider or in sales the economy right now may be affecting your business but whether or not your business succeeds or fails is up to you, not the economy. That’s good news. In every economy there are businesses within the same industry that fail and businesses that come out ahead. The difference is often you. Are you feeling stuck and paralyzed by outside influences, like the economy, or have you decide that you will do what it takes and be successful, no matter what. There are two responses to what’s going on right now, either fear or opportunity. Either you feel overwhelmed and shrink or you see what you’re made of, what you can do and strengthen yourself to meet those outside influences (Yahoo!). It’s all perspective and choice. In every economy there are people that come out ahead, that make money and do great. Why not have it be you that succeeds! Your Attitude. It starts with your attitude. It’s not just about pushing harder, it’s about coming up with good ideas, following through on them, and doing so in a way that works. With a negative attitude, with a belief that things are bad and won’t work, none of that is possible. So, to create a successful business and be a winner start from within and follow up with action. Empower yourself by what you think and say and do… these tips may seem too simple but give them a try and see if they make a difference in your life and your business. These are tools I use with my clients (and myself) to go from being stuck to excitement and success. When I started using these with my clients I was astounded at the raves from those clients and results they were getting. If you practice (not perfection, practice) these, and keep progressing forward using them, your life and your business will change. Read something that inspires and empowers you, that makes you feel good, like you could conquer the world, or at least your world. Start your day on a positive note. Step #2 – Decide What You’ll Accomplish Each Day. I’ve noticed with my clients that when things get challenging and they get stressed they start doing busy work instead of going for it, they start feeling overwhelmed and freeze. So, after raising your attitude and outlook by your positive reading, decide where you want to go next with your business, what you need to do to be successful and what you’ll do today to get there. Set goals and make a plan for your day. Decide what you want to do, where you want to go, and how successful you want to be. Okay, your attitude is better, the next step is the doing. Step #3 – Take Action – Do What It Takes To Succeed. Do what you need to do today. You’ll feel better. Do something that will give you a sense of accomplishment and that will make a difference in your life and for your business. Make some sales calls, go to a networking event and network, do that thing that you’ve been putting off… Do Something. Show yourself that you mean business, that you’re going for it, and that you are going to get it. Be a success today! Having a positive attitude is very important and it needs to be followed by directed action to create your good (success, prosperity, wealth, happiness). It’s taking your power back instead of feeling controlled by outside influences. Create what you want, not what you think is possible based on the economy or any other outside influence. Decide what you want to create and take the action to do it. Step #4 – Take That Action That You’ve Been Putting Off! If you’re not at the very top of your game, leading in your industry, there are things that you could be doing that you’re not and you know it. Pick one that inspires you, that will expect more of you than you are giving now and do it. Choose something that you know would benefit your business. We can feel insecure, we get scared, we don’t think we’re good enough to do that next thing, to reach to that next level, but now is the time, the economy is giving us the opportunity to be more than we thought we could. Stretch yourself. Go for it. Now that you’ve created a great day for yourself, appreciate yourself and all your hard work, and take stock of all the good that is. Step #5b – Acknowledge Your Successes – Along with what your grateful for, write what you did today to build your business and make your life better? Before you go to sleep appreciate and value yourself, write a list of *5 of My Successes Today* so you are focusing on what you have done versus the things that you didn’t do. There will always be things we didn’t do but focusing on them breaks us down. Focusing on what we did empowers us to do more and do it better. And again, you’ll sleep better and you’ll start focusing on what you are doing. You’ll see the power you have to change your world and your business, you’ll feel better and want to do more because you’re appreciating and valuing you. In every situation we have the opportunity to build ourselves up to meet the situation or to be beaten by it. This is a great time to build new tools and create new habits for yourself. Try these for a week and pay attention to any differences in your business and life. If they work and support you now, imagine how great they’ll work when the economy swings back around. 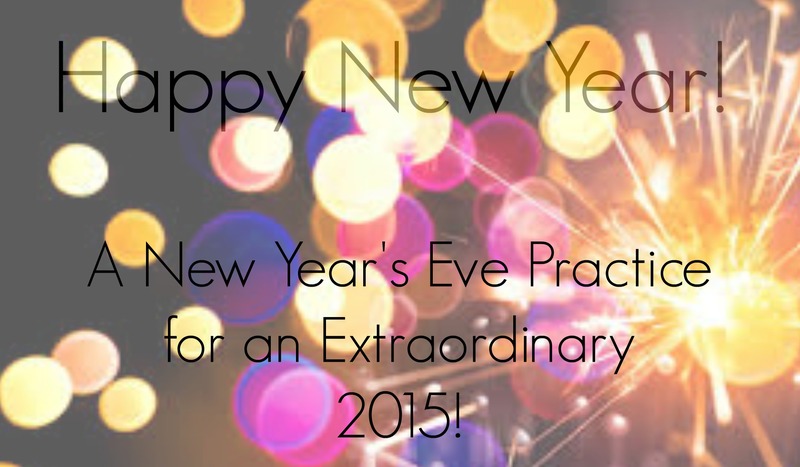 A New Year’s Eve Practice for an Extraordinary New Year! This is one of my favorite times of the year. The end of an old year and the start of the new. It feels so powerful and magical… like anything is possible. It’s a new beginning. Here is a practice I learned, to powerfully end a year and make way for the new. I hope you enjoy it. Years ago I was lucky enough to get invited to spend New Years Eve with a Shaman. It was an amazing night. Along with a potluck dinner, a jigsaw puzzle and the Twilight Zone playing in the background we did some rituals. It was a powerful experience and since that night, I do my own version of it every year, creating a sacred experience of the end of the year. It can take hours or moments; you can do it alone or with friends. The trick is to make it something that is powerful for you. First, Celebrate the Good – we often go from one year to the next without really looking and celebrating our good. It can be very empowering and motivating to put your attention on your good. Pullout a piece of paper, think about and write down the good that happened in your life, your successes, and what you’re really grateful for. Then spend a bit of time being grateful and re-enjoying the items on your list and see what you’ve done. Remembering these will help you next year as you step into creating the new. If you’re with others, share what’s on your list…you’re successes and what you’re grateful for. Next, Let go of the Bad – the end of a year is a great time to decide to let go of things that are no longer serving you. It is us, our habitual thoughts and beliefs, that hold on to things. We can let them go when we choose. You can decide this time is sacred and powerful. Pullout a new piece of paper. What do you want to let go of? Write down resentments, things that feel like failures, hurts, a habit, belief or way of being that’s not serving you, whatever you want to let go of and release yourself from. After you’ve finished writing, look at your list and decide if you are willing to let go. If you are, burn the paper. Decide that you are letting go and free. Watch the paper burn. I like to put the ashes into my garden to remind myself that challenges often are just what is needed to move into something greater. That’s it. Now CELEBRATE! You are free to move powerfully into the New Year. Congratulations! It may seem too simple but it is the meaning we give something that makes it powerful and sacred. Give it meaning and power. If you choose, you can start on your desires for next year. I like to give it some time. Allowing myself to just be in that spacious and exciting place of possibilities and potential before stepping forward on New Year’s Day to create my vision for the New Year. Congratulations for who you’ve become. May 2015 be your best year yet! p.s. If you’d like help creating a powerful vision for 2015 for you and your business , join us for January’s Mastermind with a Mission™ “Creating Your Compelling Vision for 2015” January 7th at 2:00 pm in Seattle. I’ve extended the early bird special until January 1st at 11:59 pm just in case. Click here to sign-up. It would be great to have you and to support you in having an Extraordinary 2015! Have you set goals this year that you’re excited about, goals that are worthy of you and how great you are, that give you something exciting to strive for… something that is worth a year of your life? Written Jan 19, 2010, read 2672 times since then. The New Year has started, the dust has settled and if you’re that type of successful person that chooses their destiny, you’ve probably taken time to set your goals for the year. If you’re a winner, you’re probably already acting on them… Let me ask you, are your goals really worthy of you? Are they what you really want out of your life? Is that really a worthy goal for you? Isn’t there a call in you to do something more, to be something more… to be who you are capable of being, to build a life that is meaningful, fulfilling, doing what matters to you and gives your life a sense of purpose? Do you get how amazing you are? You are magnificent. You have the power within you to make a difference in the world, to do something with your life that is really worth doing. Are you going to do it this year? Whether we set goals or not, we often go through life accomplishing but is what we accomplish really what we want? Is it what we want to spend our life on, or is it the shoulds and doing what our peers do? Have you had the experience of reaching that level of success you so longed for, got there and thought, “Is this it?” Maybe you didn’t even reach your goal because it wasn’t exciting or compelling; it wasn’t what you really wanted to do with your life, and you end up not feeling great about your self or your life. We want more. We want our lives to have meaning and purpose. We want work that really values who we are and stretches us to fulfill our potential. We want to make a difference in the world, to do something that really matters. We want goals and a vision that show us that we believe in our selves and in what we can do. Right? Imagine… believing in your self so much that you set big goals, goals that include you making a difference in the world. You creating a compelling vision that inspired you to go for it because it sounded so exciting and filled you with so much passion, sense of purpose and gave your life meaning. Maybe there’s a book in you, something that will inspire and empower others or raise awareness or consciousness. If you work for a non-profit, maybe figure out how to make it more profitable, a healthier organization that empowers those you serve better – more social entrepreneurism. The list goes on and on. We all have something, whether you’re in a job or have your own business, there is a way that you could make a difference in the world though it. Yes, you could be Gandhi, Mother Theresa… or think of the impact Bill Gates has had on all our lives, or the person who invented post-it notes. Think of the impact all those people who didn’t stand up and say, “this isn’t right” that went along with things at Enron. Also, don’t get me wrong, I think we should make lots of money while positively changing the world – it needs to be sustainable, fun would be good too. Making a profit should and can be done with values, with our humanity and consciousness intact. A combination of The 3 P’s – Passion, Purpose & Profit ©. Businesses are leading the direction of the world… why fight it. Let’s just change the direction of business and do something worth doing though our work and be very successful at it. On the cover of “values-driven business” by Ben Cohen and Mal Warwick is the line “how to change the world, make money, and have fun”. That line is a great food for thought and I highly recommend the book. So, how about you? How about goals really worth your time, your life, and your talents? Goals that excite and inspire you, that fill you with passion… something to do that gives your life meaning and purpose. Goals and accomplishments that make you feel great about who you are, and how you are being in the world…proud of your self. How would that change your life, your relationships? How would that change your world… and our world? Isn’t it time we really started being who we can be and living lives true to how amazing we are…and true to who we are in our hearts and souls? We don’t have to sell out or play small. What do you really want to do, not just this year but with your life? And beyond business goals, what do you want to do through your business? What impact do you want to have in the world? 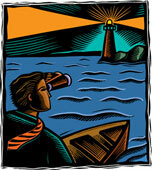 We can change the course of our destiny by setting a new direction for our lives. Think of two planes leaving an airport… just a small difference in their direction will take them to two totally different destinations. Go back to your goals… what do you really want to do with your life this year? Go for it! You can make a difference! Here’s to a life lived with purpose! Excellent article Lisa, I agree completely! One of the biggest problems in the world is people just don’t think big enough. As of this week, I decided that my ultimate goal is to be the ultimate success catalyst; to completely transform the world in all areas. I’m not afraid to say it, because I am 100% confident in my thorough and specific action plan and ability to take massive action to follow through. Another problem is that many of the people who do think big just don’t follow through on their goals. The biggest difficulty in influencing others through information products is there is a tendency to be temporarily inspired but let it wear off without taking action. This is where a coach or accountabilibuddy is so important and valuable. Harvest Your Successes, for an Extraordinary New Year! It’s the end of the year. Have you thought about your year, successes, accomplishments, failures? How will you clearly plan the next if you haven’t? Before setting goals for a powerful and successful future… Harvest! Written Dec 27, 2010, read 1405 times since then. It’s the end of another year. Was it successful? Have you thought about your year, your successes and what you accomplished and learned this year? Have you thought about how you grew as a person or business person, and what new skills you have? How will you set solid goals for next year, if you haven’t answered those questions? 1. To acknowledge our self and our accomplishments, because who wants to work hard and have their work taken for granted? Not many of us, but we do it to our selves all the time. Harvesting feels good, it lets us see our growth and therefore empowers. 2. To clearly see who we’ve become and grown into so that next years goals and vision are bigger, not our old comfortable status quo, something new and exciting to us. Seeing how we’ve changed lets us know that we can do that next big thing. 3. To learn what worked and what didn’t. Harvesting is about looking at our “crop” so to speak and seeing if we’re happy with it. Are we growing what we wanted? It’s so easy in life to set a direction, move toward it, and not check in later to see if it’s right for us. Harvesting is about celebrating all that you’ve done and all that you’ve become, and then clearly looking at your harvest before setting out and making next years goals and vision (which will be January’s topic). Both will lead to a more powerful and successful future. Think of farming… you plant your crops, you work hard at helping them thrive, and then you pick them. You get to enjoy the fruits of your labor. The Harvest is walking back through your year, your project, your…whatever. I do it with my coaching clients at the end of their coaching program to help them see what they’ve accomplished, how much they’ve changed, what tools worked and didn’t work for them, and how to take and use all of that to build their future. The value of a goal is not just the result, it’s also who you become in going for that goal or dream… in going for something extraordinary. 1. What Were Your Accomplishments and Successes? So often, we will have a lofty goal or something new we should be doing in our business. Let’s say the goal is blogging. Our first step might be to just learn about blogging, look at some different blogs and read up on them. The second might be to learn about the different blogging tools we can use. The next, taking a class or jumping in and trying it. We might have done all this and still not be blogging, or not to the extent we want to. And what happens is, that’s what we focus on. We often don’t focus on all those steps along the way, all that we learned and accomplished. We focus on what we haven’t done. How we aren’t blogging every day. As a coach, as my clients learn and grow and move forward, I point out those accomplishments so that when it’s time for their next big stretch, they know they can do it… they clearly see they have in the past and that empowers their present. Dig in, think about your last year… what did you accomplish? What did you learn? What new skills do you have now? Were you tenacious about something, showing you can stick to it no matter what? What did you gather – friends, knowledge, social networking people and skills? What did you create along the way? How much money did you make? Did you reach a goal you set? And what about those things that that you just felt really good about and then as time went on you forgot? What about those good things that happened, those flukes and “miracles” (often times when we put those in context we see how we had something to do with them)? What do you feel proud of your self for? Just let this flow. I like to use bullet points. I find it’s hard to start but once I start they poor out, then I get stuck again, then it flows again. It’s just a process. Just trust your way of doing it. You can’t do it wrong. Just start listing your successes… personal and professional. 2. What Were You’re Breakthroughs and Stretches? Some of these are those big bold breakthroughs, and sometimes these are those things that felt like failures at the time but now that you look back you learned a lot and grew a lot. This is more the internal stuff or the lessons about your process. What did you do last year that you hadn’t before? What did you learn, maybe about your self, your life, business? What were some of those work/life lessons you learned that knocked you down and you got back up? What were some beliefs you had about you, business life, money, etc. that changed? 3. What’s Changed In Your Business and Your Life? This is the big picture and the results. This is the place to look at the impact all of the above had on you, your business, and your life. It’s easy to make changes and not realize the change… not acknowledge what you’ve done or how far you’ve come. It’s important to see how far you’ve come. This is that opportunity to really acknowledge what you’ve done and where it’s gotten you. Between last year and this year, what’s different? What changed? How is your business better? How is your life better? How are you a better person? 4. What Worked, and What Didn’t? What’s Serving Me, and What’s Not? Now that you’re on that solid ground of knowing what you’ve accomplished and the impact of it, it’s time to dissect a bit. Check in and make sure you’re going in the right direction, that things are working, that the things you’re doing are working for you. Your answers to this question will really help you when it’s time to set your goals for next year. Think of the farming metaphor again… the farmer looking at his crop. Did he grow as many carrots as he wanted? Did he like the flavor? Do they bring in the money he wanted? Are they good for the land? What needs to change? What could he try? What did he try that didn’t work? All with thoughts of growing a better crop next year. Now look at your “crop” closely, with the thought of being more successful next year… What were your failures, what didn’t work? What have you been doing that isn’t serving you? Did you put your time and energy into things that didn’t pan out? Were there things that created the desired result but felt like more work than they were worth? Maybe you found a new method of getting customers but found that they aren’t the type of people you want to work with – so the method worked but next year you’ll need to tweak something. Are you trying to do something because you think you should and you just can’t get it to work? Are you wasting your time on something? 5. Celebrate! Enjoy Your Harvest. What would you like to acknowledge yourself for? You worked hard, I know that because a slacker would not still be reading. When New Year Eve and that stroke of midnight comes, say and feel a moment of gratitude for all you’ve done and all it’s created. Building a business, being a leader, and making a difference are not easy. You have chosen a path worth walking, acknowledge your self for it… for who you are and what you’ve done. p.s. If this was helpful for you, please share it with other who will benefit from it… we can all use help right now. Thank you! Interesting point of view, helps to deal with year-end results analysis; good points regarding planning goals next year. It’s funny, while I was writing it up I did it myself, which I do every year, and every year I forget how great it is to look at my year with this perspective. It helps me to look at my year clearly when I’ve just acknowledged my successes. We did this in the last Mastermind Monday and it was great. It’s great to do in a group – we acknowledge our biggest success to each other. Very powerful. Next Mastermind, which I’m changing a bit is “Creating a Compelling Vision”, and February is “Strategizing for Greater Success”. I hope to see you at another one soon! Lovely, Lisa. Thank you so much for sharing this. Like you, my husband and I go through this reflecting and dreaming process almost every year. I’m going to enjoy incorporating some of your insights and interesting questions and takes on things. You’ve added more richness to an already enriching process. Wishing you a wonderful year ahead! You’ve put in clear steps so anyone can use this assessment tool. I think all of us are planting new seeds throughout the year, so harvesting at the end completely resonates with me. Thanks Lisa- This is a wonderful recap, it would be a great help to review with this article several times a year. What a well-thought-out process for completing the year and preparing for the next! Thank you for your article! I love the “farming/harvesting” analogy. It’s easy to relate to. Assessing 2010 by focusing on successes definitely puts you in a better place to move forward in planning and setting goals for 2011. Evaluating what worked & didn’t work, celebrating what we’ve done and become will definitely lead to a more powerful and successful future. Appreciate your 5 steps to help you do the above. Wishing you an extraordinary 2011! How true, especially when we have loftier goals and expectations for ourselves than we might have for others. Very easy to focus on how far we are from our destination and dismiss how far we have come. This is very timely as we begin a new year by setting goals and developing a strategic plan for achieving them. Taking a look back at our accomplishments encourages and motivates us to continue the journey. Thank you for this wonderful template for ourselves and our clients. All the best for a truly wondrous and adventuresome New Year! First, I want to say how fabulous it is that I’ve met all of you… I love my mastermind groups for so many reasons, right now I feel so grateful that I’ve met all of you and supported you and your success! What a great year it’s been. That is FABULOUS! Obviously I did the Harvest too. Lovely Laila… You are so welcome. I’m glad you enjoyed it. Thank you for reminding me of years past when I did this exercise with friends. It’s so powerful. – I wish you a wonderful year too! Russell… Thank you. We do plant seeds and then often go on to the next without checking to see, and feel good about, what we’ve grown. And we so need that. It’s a good practice for our selves and it’s good to point our friend’s successes out to them, to remind each other of our wins and accomplishments. Linda & Victoria… I am so glad you were at my December Mastermind and got to do this in the group and celebrate your wonderful selves… and acknowledge your selves in front of all of us to celebrate you! Yea! That was fabulous. Thank you for coming and yes, this is a great tool to use throughout the year. It’s very useful after completing a project, or to do quarterly. Debby, Hi! Yes, what most don’t know is that I’m a farm girl at heart. I love the earth and grew up near farms. I’m glad the steps help and that you’re choosing to give your self the gift of them… I hope they support you in building an extraordinary year! And Richard, we miss you! Thanks for popping your head and your comments in. Yes, it is a great tool for clients. My clients work so hard, and often don’t recognize it until I point it out… I bet you experience that with your clients too. I hope you’re having a wonderful time in Phoenix, and that your business is growing in leaps and bounds. Happy 2011! Thank you again for your comments and your rating me… I do want to know what you think, and what I can do to support you. Is there that one thing that you know you should take care of, poking at you? It’s in the back of your mind, negatively impacting your self confidence and your business? Here’s help. Written Oct 19, 2009, read 740 times since then. Are you feeling overwhelmed? Is the current economy, the news and whatever adversity you’re facing in your own life making everything feel difficult? Are you feeling stuck? Is there that one thing, or maybe a few things, that you know you should face and take care of poking at you? It’s in the back of your mind every minute. Maybe it’s a call from a creditor that you need to return, mail to open, a voicemail to listen to, or checking your investments or bank balance, maybe it’s about your business, or maybe something personal. Whatever it is, when we avoid something, like that thing poking at you, and don’t face it… it eats at our self esteem. We start thinking we can’t handle things, not just that thing but other things. We start believing that whatever it is we’re facing is bigger than we are. Is that how you’re feeling? Would you like to feel better? Take a deep breath. There’s only one thing to do. You know you have to face it. Simple, but not so easy, right? Maybe it is? Have you ever had that experience of finally facing something and finding out it wasn’t as bad as you thought? Or maybe it was as bad as you thought or worse but it was easier to face and know than to have it looming like some huge monster in the closet. What it really takes is The Decision To Face It… and Just Do It! What I know is… You’re courage and willingness to face whatever that thing is that you’ve been avoiding can build your sense of personal power. What does that mean? Facing the challenge head on can be just the thing to strengthen you enough to take the next step, and the next and start making things better for you. Are you ready? Are you willing to face your adversity, to take the bull by the horns, to know “I am the power in my world and I can do this!” Yes! Go! Take that first step to turn things around. You will feel so much better about yourself, and life might still be challenging but you’ll have a chance and a choice to make it better. – You are not alone, there are so many people out there having a hard time. Get in community with people that are challenged too – just make sure they’re also working on stepping forward too. – Ask for help, or someone to lean on. Don’t isolate – that just makes it worse. – Help someone else. It’s great to get help and often it’s equally great to give it. It helps you feel connected again and It helps you remember how capable you are and that you have something of value – who you are, your friendship. Affirmation: Today I have choices. I am the power in my world. Today, I am doing what it takes to build a better life for myself. I can do this! You are the power in your world! Face your adversity and you’ll know it. Just what I needed to read today! Thanks, Lisa. Getting ‘Your’ New Customers, ‘Your’ New Job…and Having Work You Love! Are you having trouble getting new customers/a new job? It could be the economy or that the job/customers you’re looking for aren’t what you really want. What if you went for “your” new job/customers? Written Jun 30, 2009, read 824 times since then. Imagine having work that you love, working with people that bring out the best in you – both peers and those you serve (whether in a business or in a job). Is that the work (job/clients/cutomers) that you’re currently looking for, or are you just looking for work? It may seem that finding a job, or getting those new customers and getting money coming in right now is the only focus… but, what if you’re feeling resistant to getting that new job/those new customers? What if in some way, that you may or may not be aware of, you’re holding back because they’re not what you really want? Are you looking for anything that’s out there or are you looking for what’s best for you, what your passionate about, what’s great? Whether it’s a new job or new customers, going for what you really want, what’s right for you, will motivate you, inspire you and support you in doing what it takes. Think about it. If you’re doing job search or marketing activities and you’re trying for something you don’t really want, is your heart really going to be in it. Imagine it this way…. if you have grocery store experience (whether it’s as an employee, owner, or service provider). You have a full range of the type of grocery stores available. If being able to get things done quickly, or having the lowest price is important to you, and something your passionate about, there are grocery stores that offer that. If you’re environmentally conscious, there are grocery stores that focus on that. Imagine too, the type of people who work at those different stores and the people who will shop at them. One group will feel totally right for you and one will probably feel wrong to you… and the opposite will be true for someone else. Does that make sense? Bring your values, and your skills and experience together. What do you really want? Go for a job you want. Go for those new customers that you will love being around. That will propel your search. We can feel passionate about what we do, who we work with and who we serve/work for. It’s totally possible and it will bring us great success, long and short term. Job Seekers: What kind of job are you going for? Open up to the possibilities available to you. Say you have computer skills. There is a huge range in the types of businesses out there looking for people with skills like yours. Are you a good fit? Would they want you? Would you want to work for them? If it’s more than a paycheck, if it’s a company you value and people you enjoy working with… think of the impact that will have on your success. Imagine years down the road, where could you be if you were passionate about what you did and worked with the kind of people you wanted to work with today. Business Owners: What kind of service/business do you have? What areas are available to you to work in (niche)? What types of people could you work with (target market)? What would bring out the best in you? Who would you feel passionate about working with and supporting? Open up to what could be. Say you’re a marketing specialist. How would you feel helping a client market something that you didn’t feel great about having in the market, not horrible, just not great? How would you feel about them and yourself? It may be subtle but it’s there, it’s not great. Now imagine if you only had clients who you loved marketing their products/services. You got to work with people who valued creating those products/services. It’s a whole different ball game. You will be so much more successful when you find your group of people to serve/create a product for. You’ll love working with and for them… your best will come out, you will really want them to succeed. You’ll feel better about you. You’ll be more successful, and they will know that their success matters to you, that they are not just another dollar (referrals!). They are your passion, your purpose… what you value. That will bring out the best in you. Don’t you already feel more excited… you can have work you love! Go for what you really want. Imagine too the impact working around people that share similar interest, values, and ways of being in the world. That too will impact your life… the quality of all your life. You’ll feel that you fit in and belong, and you’ll know that you are valued and valuable. Don’t you deserve that. Value who you are and what’s special about you. Go for what you want… and get it. Okay, start thinking about what you really want. Start looking for your new job, your new customers and notice the difference in your level of motivation and feeling positive about having it. If you want more help doing this, combining your skills and work experience together with your values and passions, come to one of my “What Piece of the Puzzle Are You?” workshops. I give them about every month on biznik. Imagine how great it would be to love what you do, to have your work add to your life and your happiness, to have it build your confidence and your sense of personal value. You can have it… and you deserve it! Value who you are, find your opportunity… and have the adventure of your life! Your passion for what you do shines through in everything you do. Thank you for an inspiring and thought provoking article. You have a gift. Thank you for sharing it. Great article. Very thought provoking for me. I appreciate all that you do Lisa! That was beautiful… Exactly what I needed to read today. This article was very inspiring. I normally share the same truths but on occasion, agonize over choices. Connecting with these words, I was back in the flow in minimal time. Thank you and thanks for the add. This is terrific, Lisa! What I love most about your article is the idea of digging a little deeper to find the types of people/organizations/causes to work with that you’re passionate about. That single nuance is something I had not considered until I tuned into your message. That can make all the difference in one’s willingness to make a real contribution through their work. I stepped away from my target market for a while and went in a new direction. I had become frustrated, confused, and worn out. Lately, I have really, really missed that piece of my business because it’s where the joy is for me. Your article was spot on. Thank you!